Vienna (UN Information Service) — Two United Nations agencies are joining forces to combat migrant smuggling. 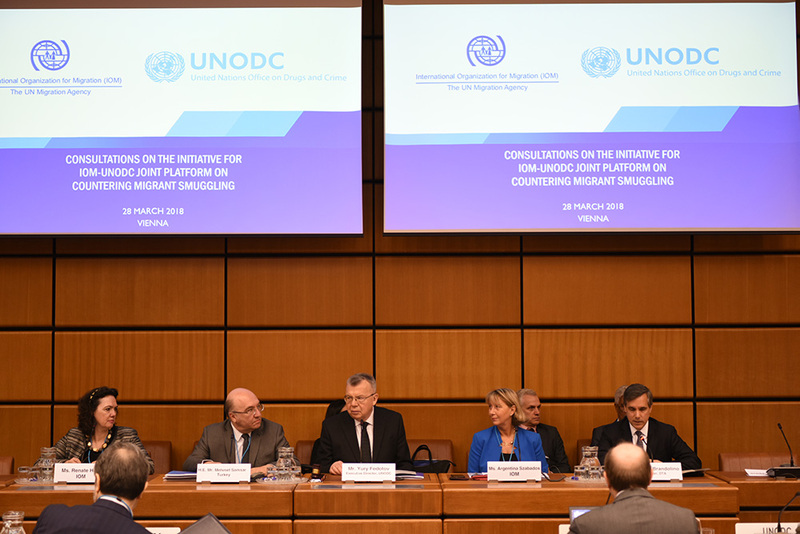 Today (28/03) at the UN in Vienna, IOM, the United Nations Migration Agency, and the United Nations Office on Drugs and Crime (UNODC) organized an event centring on a Joint Platform on Countering Migrant Smuggling. He welcomed this joint initiative to pool and leverage the expertise and experience of both organizations in the fight against migrant smuggling, saying: “UNODC is committed to expanding our work and exploring ways of bringing UN agencies together, including to ensure that criminal justice responses to migrant smuggling are part of holistic, multidisciplinary approaches”. During these journeys, migrants face abuse and exploitation, inhumane treatment and sexual violence. UNODC is the guardian of the United Nations Protocol against the Smuggling of Migrants under the Convention against Transnational Organized Crime. 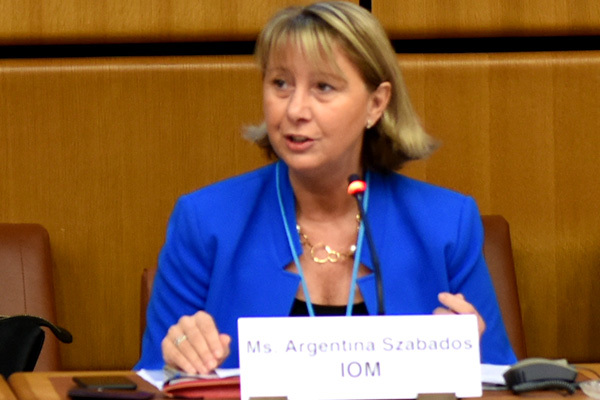 Through global, regional and national programmes managed from Vienna and a network of field offices, UNODC is supporting States in countering migrant smuggling through legislative assistance and capacity building to investigate and prosecute smuggling-related offences as well as dismantle organized criminal groups, protect the rights of smuggled migrants and strengthen international cooperation. UNODC has also produced a series of tools and policy papers, including the web-based Smuggling of Migrants Knowledge Portal, and has led public campaigns against migrant smuggling in different parts of the world. In 2018, UNODC will publish a Global Study on the Smuggling of Migrants. The new IOM-UNODC initiative encourages the main stakeholders to join forces against the smuggling of migrants. This may include joint research; reinforcing Member States’ capacities - upon request - to dismantle criminal networks engaging in migrant smuggling; enhancing assistance to smuggled migrants; or supporting the development of prevention strategies and action plans. Promoting and facilitating orderly, safe, regular and responsible migration as stated in Sustainable Development Goal (SDG) 10 is essential for saving lives, promoting regular and orderly migration, putting migrant smugglers out of business and leading to inclusive development. The New York Declaration for Refugees and Migrants, adopted unanimously by all 193 Member States of the UN in 2016, provides a powerful platform for the assistance of migrants and combatting migrant smuggling. The New York Declaration set in motion a process of intergovernmental consultations and negotiations culminating in the planned adoption of the Global Compact for safe, orderly and regular migration. Strengthening the transnational response to smuggling of migrants is being addressed in the negotiations towards the adoption of the Global Compact.